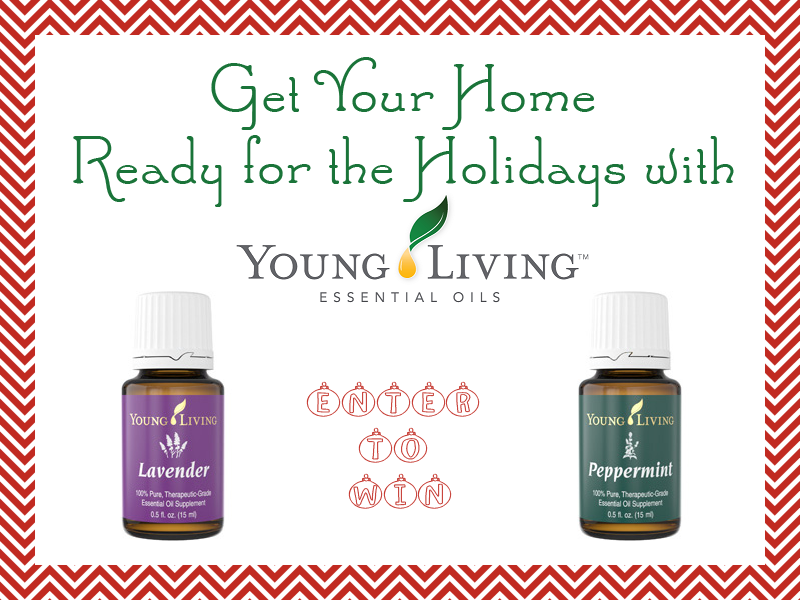 We are right in the middle of the Holiday Season, stockings are hung by the Fireplace, the smell of an Evergreen fills your Home… I’ve teamed up with a great group of bloggers that want to fill your home with even more! The Home for the Holidays Giveaways are all centered around the perfect products for your home – whether it’s decorative gifts or appliances, each blogger has something for your home! Don't miss the amazing Grand Prize for this Event - a $150 Gift Card to The Ultimate Green Store - enter here. Oh there's no place like home for the holidays..but when you think of 'home for the holidays', what comes to mind? For many its the comfort of the fireplace, the pretty decorations, cozy beds and blankets and meals shared with loved ones. But if you're the one hosting the holidays, it can also mean preparing your home for the holidays- cleaning the home top to bottom in preparation for company! Today's giveaway is going to help you to do just that a little more naturally! That's right...it's all about essential oils!! DIY Cleaners. A simple mixture of vinegar, water and your favorite essential oils make a fantastic, simple DIY cleaner perfect for everyday uses. Want more in depth cleaners? A quick search will show you TONS of recipes to try! In the Vacuum. Add a couple of drops of your favorite EOs to cotton balls and place inside the vacuum bag...it will leave your home smelling wonderful as you vacuum. Room Refresher Spray. Mix water and EOs in a spray bottle, shake well and spray as needed for a little extra freshness. Keep Out Unwanted Pests. Spider problems? It's been said that peppermint repels spiders. Spray a little peppermint/water spray around windows and doors to keep them away. Freshen closets and drawers. Put a few drops on a cotton ball and place in closets, drawers, etc to keep things smelling fresh!! Diffuse. Diffusing not only has great emotional and physical benefits, but also just makes the home smell fantastic as well!! These are just a few of the MANY ways that oils can be used around the home to keep it clean and smelling fresh. The possibilities are endless!! If you're interested in purchasing or learning more about Young Living Essential Oils, or joining my team, please feel free to contact me at randi.amoderndayfairytale@gmail.com (or leave your questions/email in the comments). Winner will be contacted via e-mail after giveaway ends, and will have 48 hours to respond before a new winner is chosen. One entry per household, winning entry will be verified. Odds of winning depend on valid entries received. A Modern Day Fairy Tale is not responsible for prize delivery. So Easy Being Green, Viva Veltoro, the Blogging Mamas Network, and the Home for the Holidays participating bloggers are not responsible for sponsors who do not fulfill prize obligations. We use EO's in homemade health products. Thank you! I use them in my diffuser. I'm going to try mixing some cleaners also. I use it in my bath water. I've never used essential oils before, but I'm really interested in trying them out. Is there a good book that you recommend that has tips, uses and recipes? I sometimes do, I really like the lavender scent. I have never used them but have been reading a lot about them and I am interested in trying them. I use tea tree oil on my cloth diapers. I have never tried them but am curious. I only have clove essential oil so far. I have used it for a bad toothache. I have been wanting some so bad though! I love the idea of putting some on cotton balls in drawers. I also probably would use essential oils to make my own baby wipes. Peppermint feels so good applied topically to nose and sinus area when sick too. I have borrowed my sister-in-law's before. I diffuser oils every day. I havent tried them yet but I'd love to start! We use them on cotton balls everywhere we want it to smell fresh and pretty. I use essential oils to help keep my sinuses clear, especially with all this damp, foggy weather we've been having. I would love the lavender to help me relax and the peppermint to feel a little peppier. We use it diluted and rubbed on skin. I am hoping to get a diffuser for Christmas. I don't have any yet, but I'd use them for cleaning and health purposes! I don't use essential oils yet. I've actually never used essential oils before, but I've been dying to try them based on friends who swear by them. I'd love to join the trend. I use essential oils mostly for fragrance. I don't use them, but I would love to try them. The idea about putting it in the vacuum is a fantastic idea. We have 3 dogs and every time I vacuum, I smell dog! To be honest, at this time not much at all. Once a friend gave me lavender oil and I tried it, but I would love to use it in my home, if I knew how. Right now I use essential oils to help freshen our home. I diffuse Thieves when anyone is sick. I've also used it when my cat had allergies - worked like a charm! Also I put Valor on my wrists to improve my emotional state. We usually use them in diffusers and carriers. I use lavender on a regular basis, typically to help me sleep. I keep a pot of water on the wood stove and will put in a few drops each evening before bed. I don't currently use essential oils, but would love to start. Essential oils are used for everything from hair, skin, household items, cleaners, cleaning, aroma therapy, you name it. I use it for my headaches! Peppermint, specifically. I use them to soothe (lavender) my mother in law and help her sleep (eucalyptus). Hi! I haven't used essential oils in a long time. I'd love to start up again though. They always smell so lovely! Thank-you for the fun chance! I like to use essential oils for cleaning, adding to vinegar and water is much better than straight vinegar. I use Thieves to ward off illness and I use Endoflex for my thyroid. I use lavender and orange oil in the wipes I make. I'd love to start using more oils, just waiting for some exta income first. I have sinus issues and the peppermint helps immensely. I use them in my diffuser, room sprays, cleaners and dryer balls. When I had a vacuum cleaner with a bag, I did put scented cotton balls into the bag! I use them as part of my house cleaning supplies. I use them for cleaning and peppermint oil for upset stomachs. I use them in a diffuser to add quality to the air in our home. I have actually never really tried them before. I would probably use them to relax.